In most cases, the hairs in the armpit will protrude from the skin in an outward direction. If the hair begins to grow backward, it can become trapped underneath the skin, a condition known as an ingrown hair. Ingrown armpit hairs can cause an unsightly blemish in the underarm and the tissue affected by this condition will be quite sensitive. Those that shave this area frequently will be more prone to developing ingrown hairs, but there are steps you can take to get rid of them. 1. Wear Loose Clothing. Wearing clothing that is loose around the armpits will avoid constricting the blemish caused by an ingrown hair, limiting your discomfort. 2. Keep Underarms Clean and Dry. Make a point of gently washing the armpits regularly and work to keep the skin dry to cut down on your risk of developing an infection. 3. 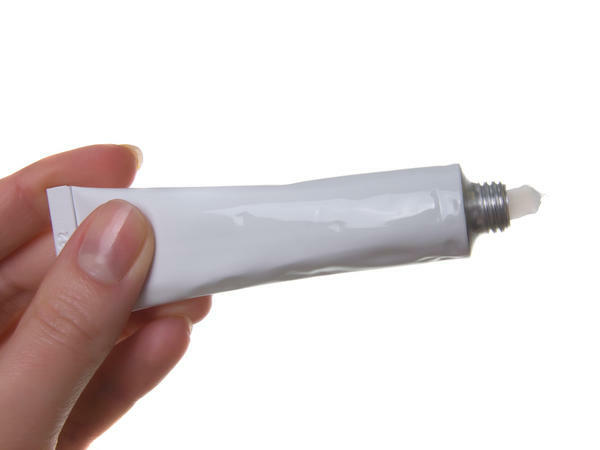 Use Topical Creams. Over the counter topical creams are available that will help with the symptoms of ingrown hairs. Some are also available that will help you gently exfoliate your armpits, removing excess skin that can cause hairs to become trapped. Stronger versions of these creams can be provided by a dermatologist as necessary. 4. Apply Warm Compression. If you have developed an ingrown hair in the armpit apply a warm compress to the affected area. This will help relieve the pain and can help reduce the presence of bacteria that are sensitive to heat, reducing your chances of infection. 5. Shave with Caution. Shaving properly can help reduce the irritation that can lead to ingrown hairs. Avoid using shaving foam, opting for a gel instead. These will help reduce dryness that can cause irritation in the armpit. Make sure you wet the armpit before you begin to shave as this will make the hair easier to cut. Soaking the area for at least 5 minutes helps to cut down on this problem. Make a point of shaving with the grain once you get started so the hair will be cut straight and will be less likely to sink beneath the skin. For the same reason, avoid pulling the skin taut as this can cut the hair shorter than it should be. Do not press the razor down too hard as this can cause inflammation and avoid using repetitive strokes to reduce irritation while shaving. 6. Exfoliate Armpit Skin. 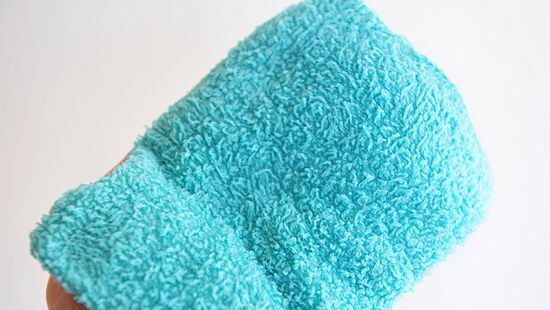 Use exfoliating gloves or pads with exfoliating soap to remove oil and dirt from the skin. These materials can clog the follicles, making it difficult for hairs to grow properly. Exfoliating solutions with salicylic acid are quite helpful as they also help reduce razor burn. 7. Moisturize Armpit Often. Making a point of washing the armpits regularly will reduce buildup of topical materials that can increase your risk of ingrown hairs. After you have washed, apply a moisturizer to the armpits to make shaving go more smoothly. 8. Choose a Good Razor. Those that are prone to ingrown hairs find electric razors to be helpful as they do not cut the hair as finely as a manual one. Select a razor that has at least three blades and a rotating head to avoid having to tug at the skin. Make a point of changing these blades frequently so you are not shaving with a blunt razor that will cause more irritation to the skin. 9. Reduce Shaving Frequency. Shaving too often can cause excess irritation to the skin, so this should be avoided to prevent ingrown armpit hair. 1. Visit Dermatologists. If your ingrown hairs are particularly uncomfortable or you think they may have become infected you should visit your dermatologist for assistance. They can inspect the area and determine if further treatment is necessary to treat the ingrown hairs. 2. Medications. In most cases your dermatologist will begin treatment by prescribing a topical cream that will help relieve the symptoms of your condition. Retinoid creams will help fight the skin darkening associated with this condition. You may also be given hydrocortisone to treat the itching and inflammation in the affected are. Ingrown hairs that are infected will need to be treated with an antibiotic ointment to help eliminate the bacteria. If the infection is particularly severe, your doctor may prescribe painkillers to help you manage. 3. Laser Treatments. Those that get ingrown hairs frequently or have a specific follicle that tends to produce ingrown hairs can use laser treatments to eliminate the problem. This treatment will destroy the offending follicles so they can no longer produce hairs.